Time zones can be tricky. The plan was to depart New York at 11pm local time, sleep through the night, arrive in Copenhagen at noon local time, and get through the day without sleeping so I could manage to sleep through this night. Instead, I departed New York around 11, read quite a bit from the John Keegan history book I’ve been reading, slept fitfully for two hours, got to my hostel in Copenhagen, and then proceeded to “nap” from 2pm to 8pm. What is it they say about the best laid plans of mice and men? 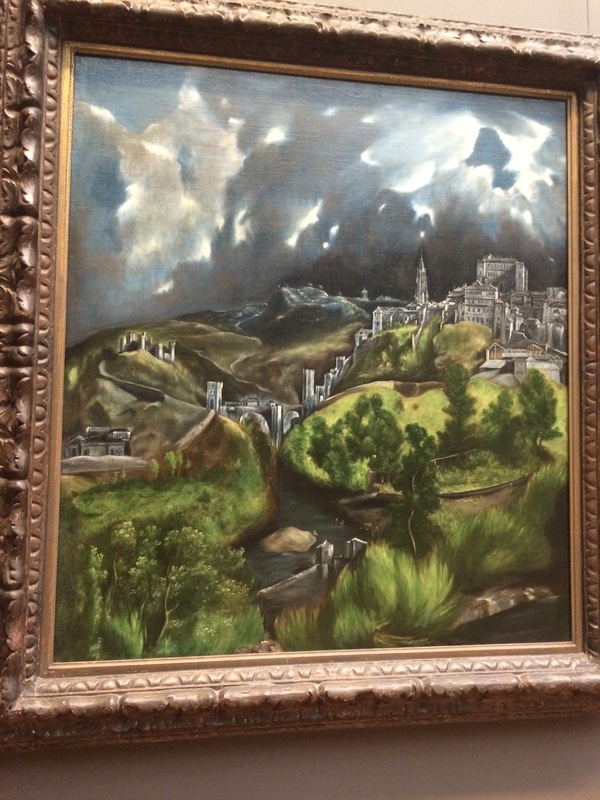 My new favorite artist: El Greco. I had a good day in New York yesterday, having the time to do more than I really was expecting. I was up early, took the train into Manhattan, walked to a diner (called “Trend,” and I highly recommend it), and then spent the afternoon at the Metropolitan Museum of Art. Last time, the only time I’ve been to the Met before this visit, I really only had interest in the paintings from the 17th C. Dutch and the 19th C. impressionists and other famous folks like Caravaggio and Jackson Pollock. This time, I had it in my head that I wasn’t going to be led around the museum by an idea I had about who was most famous. I just wanted to learn about the things I like these days. 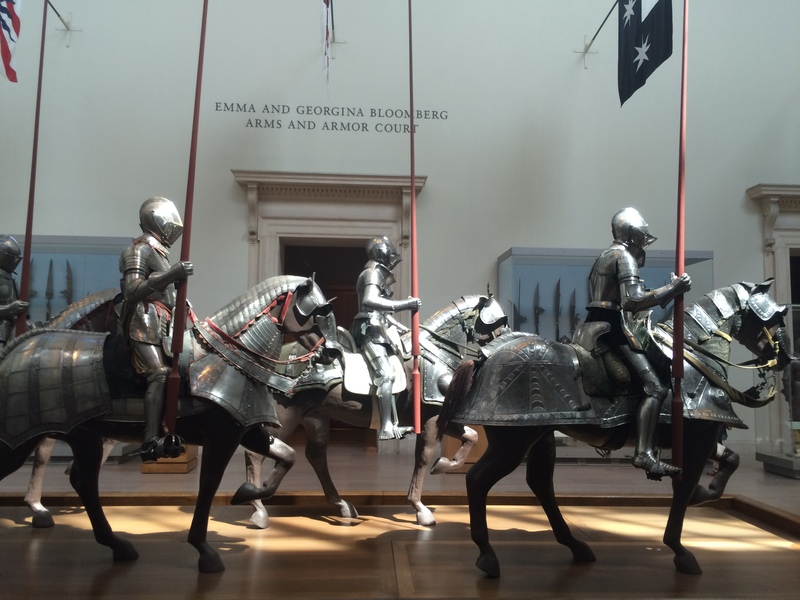 So I first visited the exhibitions on the ancient Romans and on medieval armor and weaponry. It was quite a different experience – knowing who Caracalla and Constantine were, recognizing the historical context (the 3rd century crises) and the accomplishments of Aurelian (who defeated numerous invaders and quashed the Palmyrene attempts at forming a separate empire) made all of those bodiless heads a bit more interesting than they’d been on other occasions on which I’ve seen them. 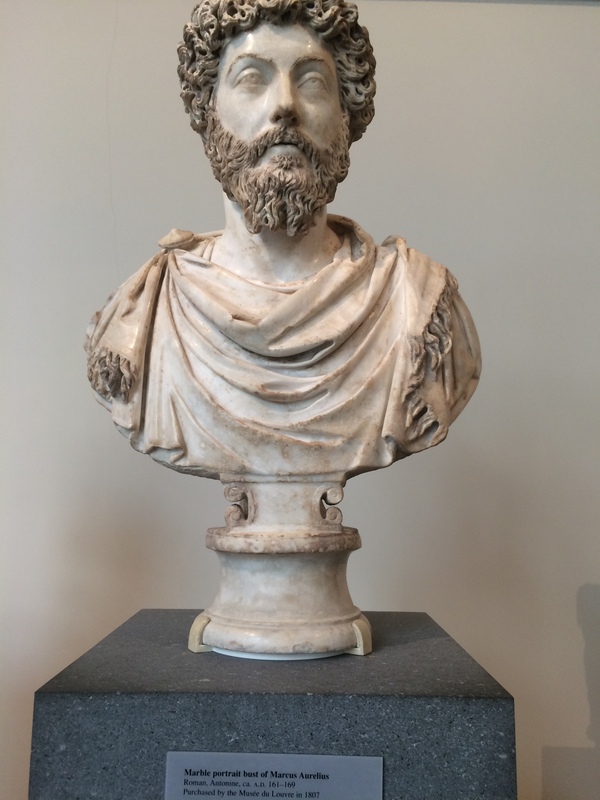 Marcus Aurelius’, in particular, is a head I’ll remember. I saw swords as tall as I, body armor from the 15th century German workshops, and dummies dressed as cavalrymen, atop faux horses. False men atop false horses… both with real armor. I dipped into the temporary but well known China exhibition only to drop back out of it almost immediately, finding it too congested for my liking. And I did go see the haystacks and the small version of “A Sunday on La Grande Jatte” (the pointillist ladies in the park painting), whose larger comrade has a home in the Art Institute of Chicago. The Met still isn’t my favorite museum, but I have learned a lot each time I’ve visited. The audio guide helps. Following my visit to the Met, I headed down to the 5th Avenue Apple store, being foolish enough to think I could receive service that very afternoon. Instead, I was met by hundreds of customers, dozens of employees, no one achieving much of anything. I left quickly. I don’t much care for the crowds in that shopping district and was glad to escape back to the Hostel, to the airport, and to my first-class flight to Copenhagen (aboard a Norwegian Airlines Dreamliner!). This entry was posted in 2015, Travelogue, Travelogue 2015 and tagged airplanes, art, Copenhagen, europe, History, jetlag, New York, new york city, NYC, the met, the metropolitan museum of art. Bookmark the permalink.